Messenger customer service: there’s so much that can go wrong in customer service. In order for your customer service over messaging apps and direct chats to be as successful as possible, we’ve gathered some tips from real life cases. Customer Service over messaging apps is becoming ever more important. Our 6-part series “Messenger for Businesses – Customer Service and Chatbots over WhatsApp & Co.” focuses on the role that messenger chat apps like WhatsApp or Facebook Messenger play in the customer support in the future. Customer Service & Messenger: Beginner or Advanced? 1. Customer Service & Messenger: Beginner or Advanced? If you’re already offering customer service over messengers and chat, then you know how strong this channel’s impact is, especially in comparison to other, more traditional channels. If you aren’t using messenger apps yet, then we suggest starting usage with auto replies. With one standardized answer, you can easily explain to your customers what they can expect from your service, and what it’s not quite up to yet. VVS established auto repplies. That way every subscriber knows immediately that the WhatsApp Service channel is not a channel for dialogues. 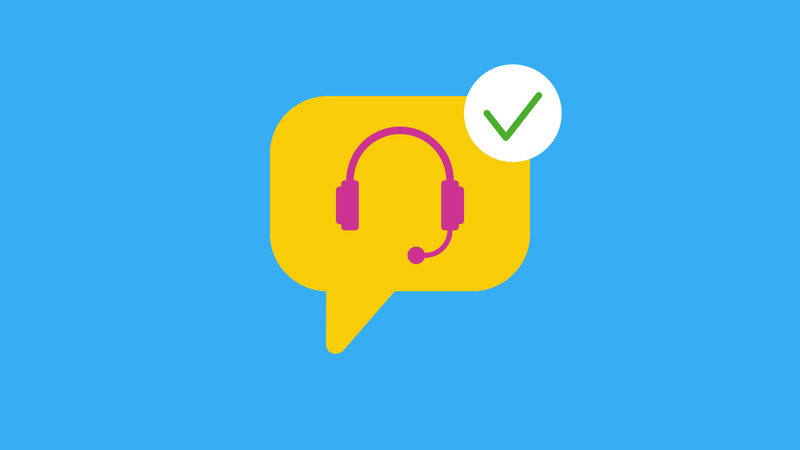 If you’re already more advanced and have started to use messaging apps for customer service, then you can learn from the Commerzbank’s strategy. 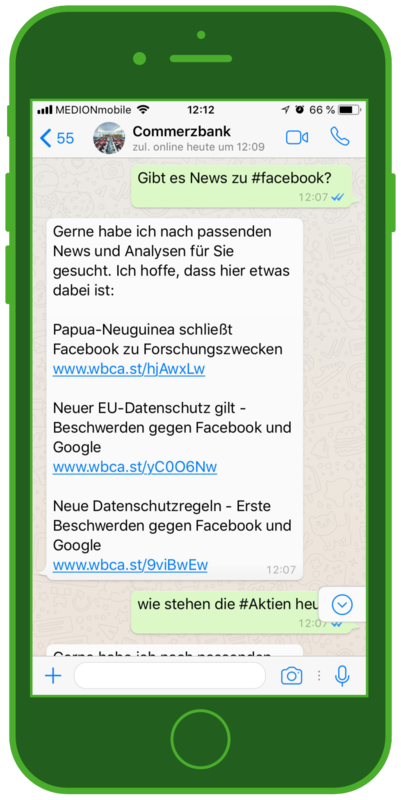 Through the WhatsApp Bot CORA, the Commerzbank’s customers receive a variety of financial information, and profit from the bank’s analyses and assessments. Commerzbank informs their users via auto reply on what they need to do in order to get more information of products of the bank. 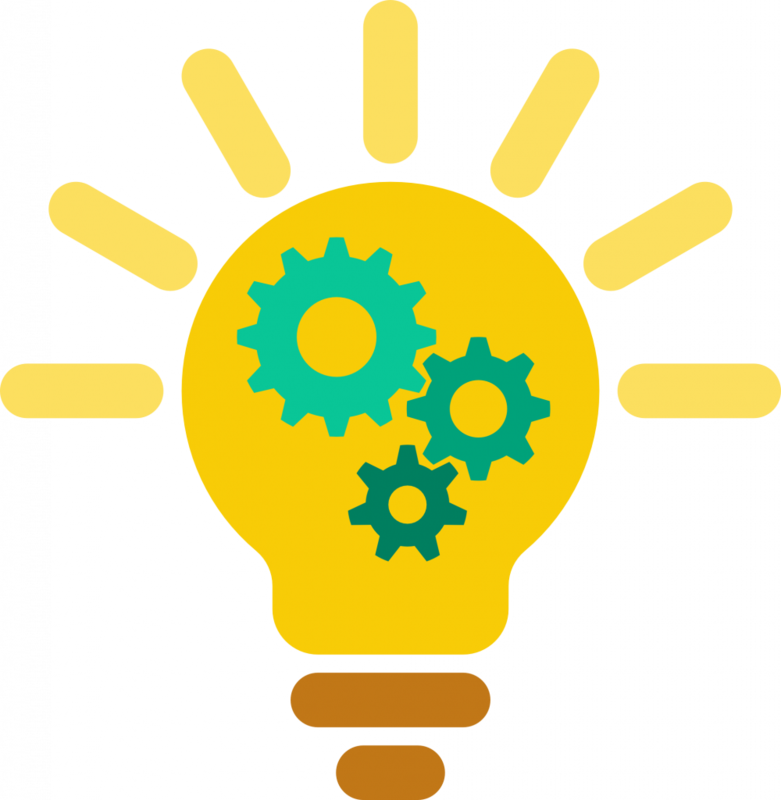 For questions that aren’t answerable over their extensive Info-Service, they direct you to a product expert with a telephone number or an email. You can learn how and why Commerzbank started using messenger marketing in the article “Messenger Marketing & Banks: Commerzbank as 1st mover in messenger marketing!“. The following tips should help you to optimize your customer service over messenger apps like Facebook Messenger, WhatsApp & Co.
People chat quickly and dynamically over messengers. Conversations end as quickly as they start. Agreement on the messaging style, tone, and content needs to happen before the conversation, so your customer service team already knows exactly how to react. For brands, this means – if something is too slow, too inconvenient, or not helpful, the customer won’t be impressed, and your company will lose the customer’s recommendation. In addition to all automatization, you have to always keep in mind that customers prefer individual solutions and product, and the personalization aspect is especially important in customer service. This is why the direct messaging channel is ideally suited for customer care, and in contrast to traditional social media platforms, like Facebook & Co, it’s known for its quick and easy communication. For brands, this means – you need a good, smart customer service team, which can react quickly and efficiently. The heart of a messenger app is the chat itself: the quick, flexible, personal exchange. WhatsApp, Facebook Messenger & Co. all offer a closeness and directness that people don’t experience over other social media channels. For brands, this means – use the closeness of messaging to help this point in the customer journey impact the entire customer experience. Customer service over a direct messaging channel gives your brand a face and a feel, and lets you develop a much closer customer relationship. 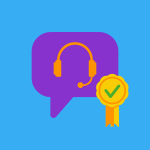 Two best practice customer service examples make it clear that messenger customer service is more than just complaint management or handling returns. A regional daily newspaper uses a messenger channel to generate user-suggested topics and publish new stories, and has jumped way ahead of its competition. A cosmetics company provides information about which of their products are available in different locations. Weather services use messengers to send up-to-date weather reports for your specific region, at a time that you specify. Learn more about WhatsApp Info-Services in this interview: Chatbots: What is a Whatsapp Bot actually? These cases show that customer service via WhatsApp, FB Messenger & Co. fulfill a role that other customer service formats can’t: the service is equally useful for the customer and the brand. The direct feedback from the customer can be put to effective use for product and process development and optimization. At the same time, the feedback culture promoted by the brand allows the fans and customers to value the company in a new way. For brands this means – customer service over messaging apps can become much more than the previous limited scope of customer service. This can develop right up to the point at which Chatbots answer questions that the customers didn’t even know they had. We know that 80% of questions to a company are constantly repeated. The other 20% of questions are a bit more complicated. This means that the easy questions are the perfect fit for an automated service, like a Chatbot, which can also direct the more complicated questions to a real employee. The Chatbot plays a decisive role in first-level customer support over Facebook Messenger or WhatsApp. If the comment is about product information, a complain, or a question about a contract? Depending on the situation, the user can proceed by using buttons, or input with numbers or hashtags. If it’s more complicated, the Chatbot can direct the user to a human colleague, who can take control of the request. This hybrid variant is ideal and can easily fit the needs of both the customer and the company. For brands this means – Against the background of steadily growing customer service requests, a major goal is automating the first level support so that you can invest in third level support. To learn more about this, see part 6 of our series: how Chatbots can be successful in customer service. What has 4 Letters and went into effect all over Europe at the end of May? Exactly: the GDPR. The WhatsBroadcast Software is GDPR friendly, so you can use our software with no worries. In terms of messenger customer service over apps like Facebook Messenger and WhatsApp, customers have free rein. We suggest that companies tell customers not to send any sensitive personal data (such as their address or telephone number) over messengers when it’s not absolutely necessary. 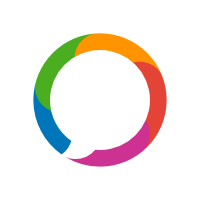 For brands this means – messenger customer service presents no problem with WhatsBroadcast’s GDPR compliant software. 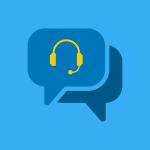 Last but not least: especially for smaller and medium sized companies, but also for bigger companies, using Facebook Messenger, WhatsApp and Co. for customer service can provide an excellent connection between online (messenger communication) and offline (actual stores). For brands this means – companies with a local network of stores, or who sell products offline in any way, should use messenger customer service to bolster sales! Competence and value encourage WhatsApp customers to visit stores. 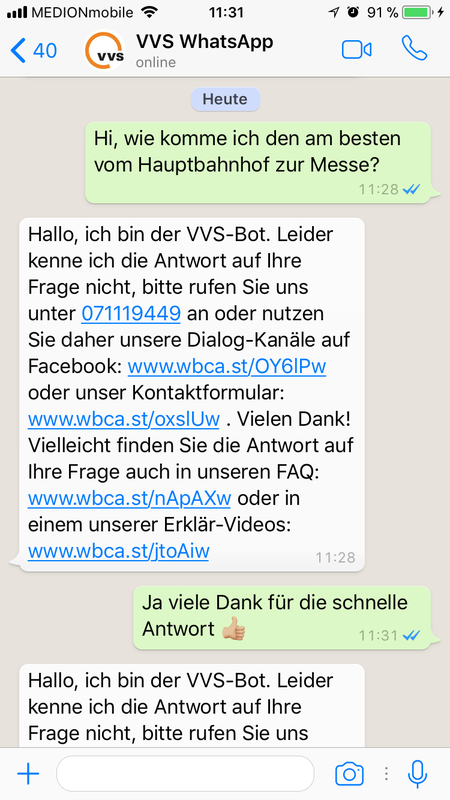 This was part 4 of our 6-part series “Messenger for companies – customer service and Chatbots over WhatsApp & Co.” In Part 5 you’ll learn more about our most convincing best practice examples.